A fine effort of seven for 89 by Simon Harmer put the Warriors on course for a shock 4-Day Domestic Series victory over the log-leading World Sports Betting Cape Cobras in Cape Town on Wednesday. 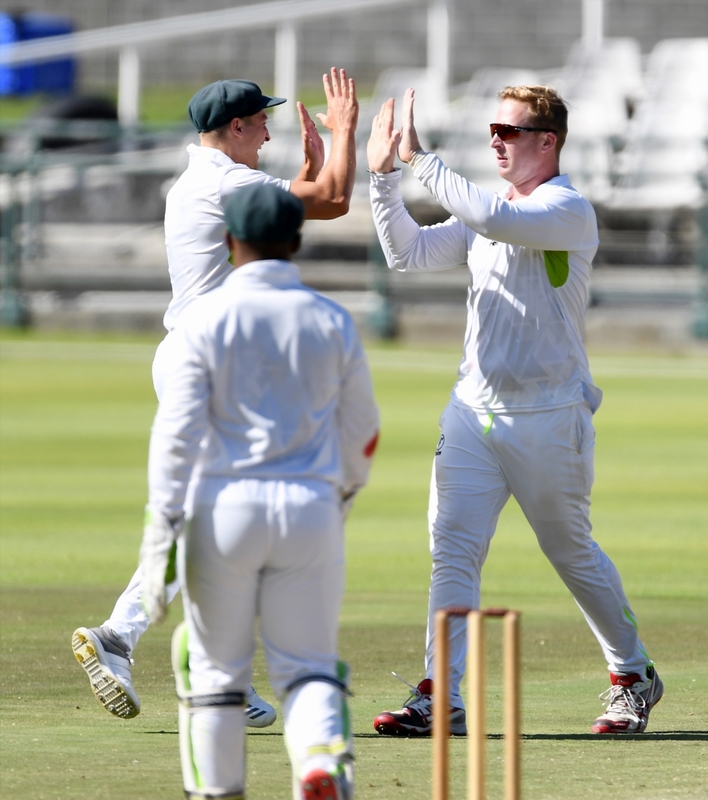 The performance of the spinner was followed by the Warriors reaching 109 for three at stumps on day three as the visitors threatened to keep open the title race by hunting down 206 for victory at PPC Newlands. Ashwell Prince’s side entered the round eight encounter this week knowing that victory, or even a draw to an extent, would be a big step towards securing the first-class crown, but their near 20-point lead now looks like it will be significantly eaten into by the result. Although the Warriors have not yet completed the job, they took a big leap towards it with their day three performance. When the Cobras resumed at the start on 105 for two and a lead of just one run, there was still plenty of work to do in their bid to set a significant target. They were dealt an early blow when the form batsman of the season, Pieter Malan, edged Lutho Sipamla (2/60) behind for 48. But Kyle Verreynne struck a fluent 56 (76 balls, 10 fours) and shared in a key 75-run fourth-wicket partnership with top-scorer David Bedingham, who made 90 (144 balls, 14 fours), to threaten the Warriors’ victory push. But from 185 for three, the home side lost their way as Harmer, through his 24th career five-for, began to plug away. Jason Smith had to dig deep to keep things together with his innings of 69 (109 balls, 9 fours, 2 sixes), but eventually ran out of partners – the all-rounder last to fall and his side was dismissed in 89.2 overs. Openers Gihahn Cloete (35) and Eddie Moore (36) gave their side a confident start to their chase by putting on 62 for the first wicket, but both fell to the spin of Dane Piedt (3/26), with the same bowler also landing the wicket of Yaseen Vallie (5) to give his side hope. The equation for the final day is a simple one – the Cobras need seven wickets and the Warriors just under 100.